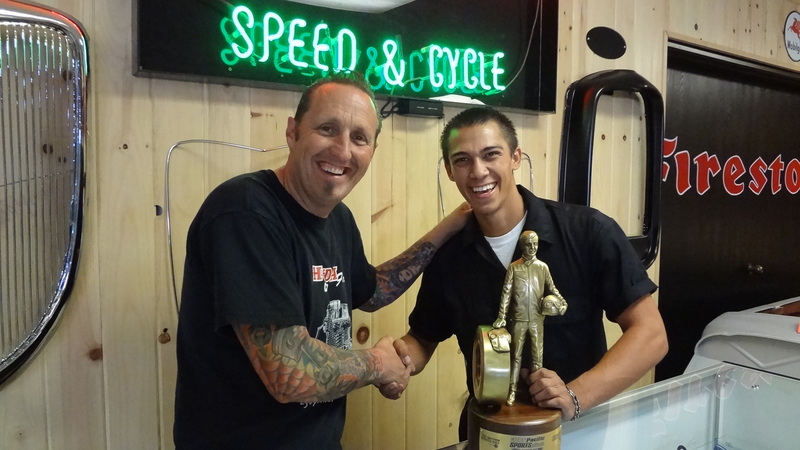 My Shop grease Monkey ” Dakota Kai Sun” has his first race of this season at Irwindale Speedway this weekend. Last year was his very first season and he did so well, he got third in the championship and Won the Sportsman Class and bought home a Wally. Dakota Sun captured the win in Sportsman Motorcycle presented by Harley-Davidson for his first national event win. 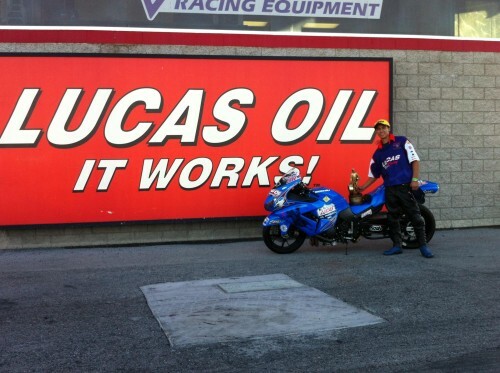 Sun, of La Mirada, Calif., went 9.270 seconds at 146.83 mph on his ’09 Kawasaki to Las Vegas resident Dave Phillips’ 8.991, 143.67. 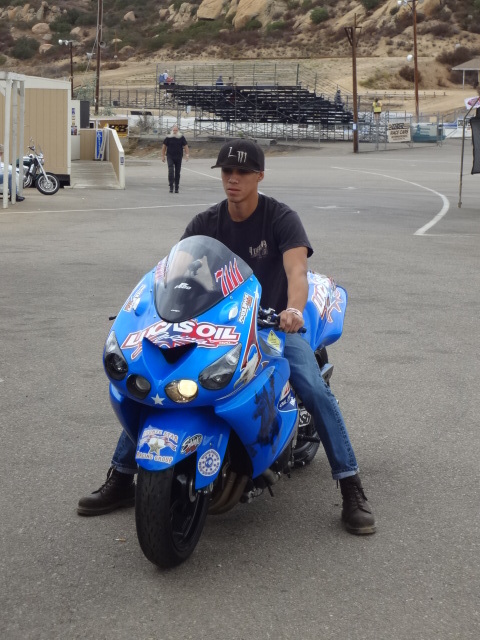 I love this guy, he really is into racing as his old man is and his lovely mum, Dakota’ is a kid you would want as your own and I hope some of you can come see him race his NEW 2013 Kawasaki ZX1400, he will be in the Motorcycle Bracket class running 1/8th mile and at other tracks 1/4 mile. He is hoping for around a 5.60 second in the 1/4 and about 8.50 or faster in the 1/4. Hope to see you some of you there if you can make it? 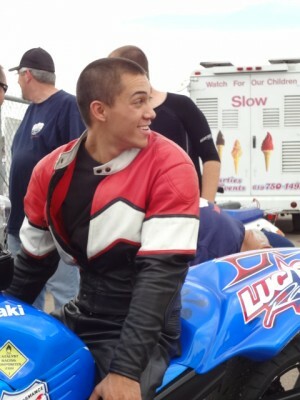 I love watching the whole set up and race, he loves what he does and is a great lad. ” Don’t tell him I said that”. 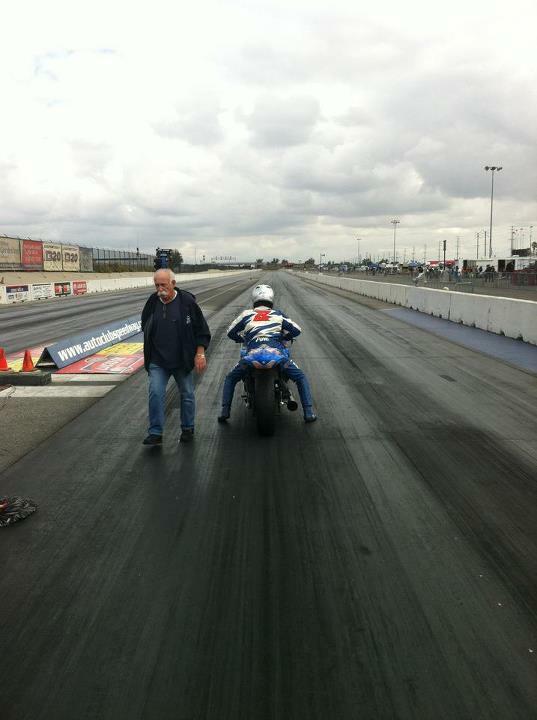 So, Irwindale on Sunday Sunday SUNDAY !!!! I hope it will be Sun’s Day !!!! 10th March is the date. Come and wish him the best!!!! 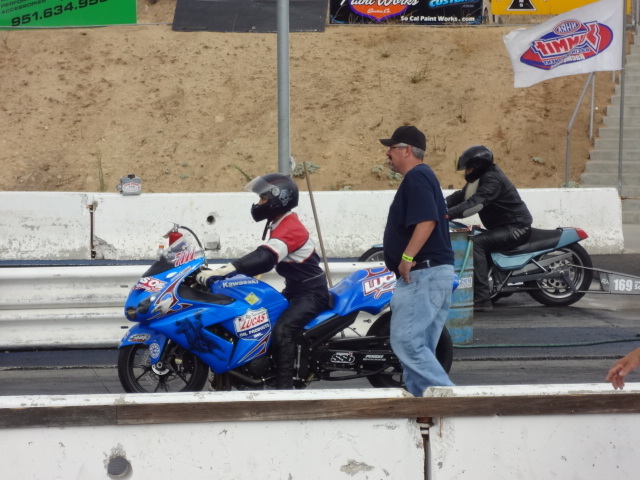 This entry was posted in Blog and tagged cb750, drag racing, dragster, hot rod, speed.